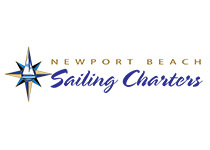 Newport Beach Sailing Charters specializes in private skipper-lead sailing charters. These private sailing charters take place aboard beautiful yachts in Newport Beach. We have sunset, half-day and full-day sails. These are truly interactive experiences where you can take the wheel and “drive” the sailboat. Each one of our captains is also a sailing instructor so they can “teach you the ropes” and you can trim the sails too! We also offer multi-day “adventure” sailing characters to Catalina and some of the other islands like Santa Barbara Island and San Clemente Island. For companies or large groups looking for a special day of team building on the water we offer multi-boat sailing regattas. We can customize a sailing event for your company to reward employees or take our special clients.